Costs – How much are common tree services in Lincoln, Nebraska? Find that info here! FAQs – Check out info on tree regulations concerning planting & removing trees, along with recommendations for the best ones to plant. Services – Find pros near you and save time spent flipping through the phone book or online searches. How Much Do Tree Services Cost in Lincoln? For homeowners or landowners in the Lincoln area, yard maintenance can be quite costly, especially with regard to the larger projects such as tree and stump removal. Even routine maintenance issues, like trimming and pruning, can put a squeeze on household budgets. Continue reading below to get a better idea of what these services should cost in your area. The average reported cost for tree or shrub removal in Lincoln is $449. The cost generally ranges between $167 and $900. That represents a wide range of potential prices in part because these jobs can be very different. For instance, removing a medium-sized tree from a field would cost less than removing a hundred-year-old oak that’s encroaching on a home or power lines. Size and difficulty of removal matter. Stump removal can be a costly endeavor as well. The cost of removing a medium stump runs between $76 and $135. A large stump is only slightly more expensive, ranging between $80 and $135. This includes grinding. Expect to pay at the higher end of the above ranges if you use a licensed company to perform the work. Again, location may also factor into the price. If the stump is difficult to access, you may end up paying more for special equipment or additional labor. Many homeowners require some of these services on an annual or seasonal basis. The average cost is $383 for the pruning and trimming of trees and shrubs. The overall expense ranges between $175 and $555 for the service. The amount of trees and shrubs involved heavily influences how much you will pay. Larger yards are costlier than smaller ones. Here are some great facts about tree services in Lincoln, along with some interesting and entertaining information about local trees and related topics of interest. In Lincoln, according to Municipal Code 5.06, anyone who does work for hire as an arborist, or tree expert, must have a valid certificate or license. These licenses require annual renewal. Unscrupulous persons may work illegally without such a license. However, they are also likely to be uninsured and their work may be of inferior quality. The city of Lincoln strongly recommends checking the licenses of any tree service you hire and getting more than one estimate for any work you wish to have completed. Tree removal during the winter is inadvisable due to frigid temperatures and hard ground conditions. The summer can also present unpleasant working conditions. Instead try to have tree removal done in the early autumn, prior to the leaves falling, to decrease mess and make the job easier. Because of the weather typically experienced in Lincoln, which includes storms with high winds and frequent snowfall, growing trees near power lines is not recommended. Trees close to lines may be trimmed by Lincoln Electric System for safety reasons. General recommendations indicate that trees are best planted 25 feet or more from overhead lines. Many trees can thrive in this climate including red maple, hackberry, oak, elm, beech and pine. 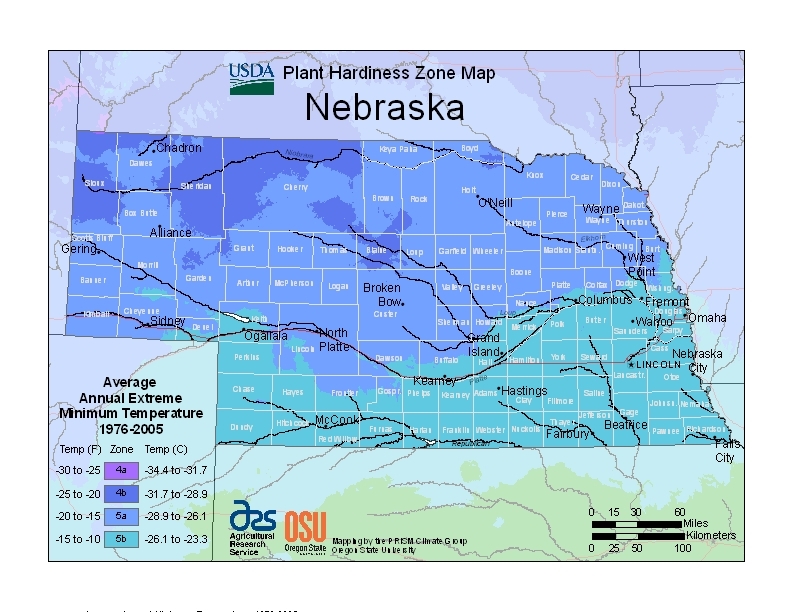 With the exception of those recognized as invasive, non-native species are encouraged since tree planting is a major initiative across Nebraska. The Eastern cottonwood is the state tree of Nebraska and also neighboring Kansas. Cultivars of apples, pears, plums and sour cherries can be grown in the Lincoln area. However, homeowners should always opt for cold-hardy varieties of these to ensure their survival through harsh winters. Apples tend to do the best as do European varieties of plum. According to Nebraska’s Champion Tree Register, the tallest tree in Lincoln is a Siberian elm on the University of Nebraska campus that stands 88 feet tall. 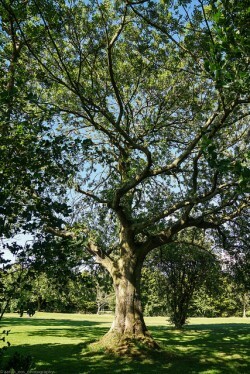 The shortest tree in Lincoln is not on record; however, it is likely to be a small, non-native ornamental. Many non-native species are difficult to maintain due to the cold and other climate-related factors. 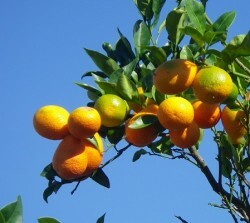 Exotics and citrus trees do especially poorly in Lincoln and many other areas in the Midwest. These trees include orange, lemon and lime. Currently, tree diseases such as thousand canker disease in black walnut trees and Dutch elm disease are concerns, although these are not yet widespread threats in Nebraska. Black knot disease can threaten plum trees grown here. Pests and wildfires are typically more pressing forestry issues.